All batteries meet or exceed IEEE 485 and Bellcore capacity requirements at shipment. 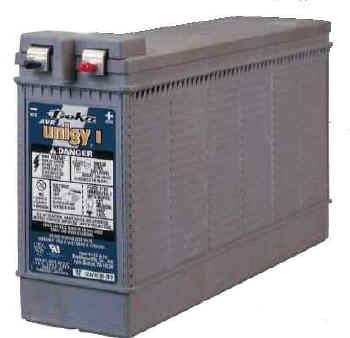 Battery design and construction meet the requirements for UL recognition. I.C.A.O., I.M.D.G., I.A.T.A. and D.O.T. air transport approved. Container: Flame-retardant, nonhalogenated polypropylene - UL 94 V0 / >28% L.O.I.